The Mini Tour of Scotland Package - this is the perfect present for a 70th birthday. Make a 70th birthday into a memorable experience. The roar of the engine, the curves and style of the design, the smell of leather and the open road – remember the days when cars were truly cars not a box of wheels. Together with four start accommodation and hospitality what more could ask for? Why not take a spin in the MKII Jaguar ideal for a party of four, smooth and sleek ideal for touring. 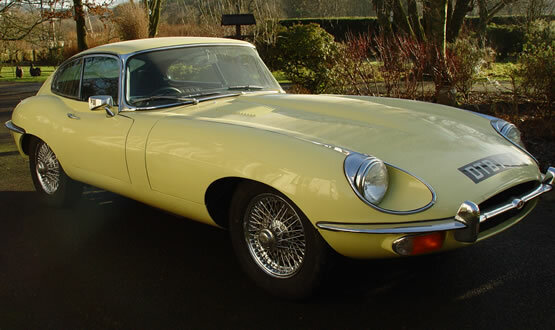 Remember the sixties in the iconic E-Type Jaguar. Go back to the days of the 1930’s with our hand built Morgan 4/4, pretty and easy to drive, you’ll feel like playing a part in an Agatha Christie Movie. Or drive the beast the Austin Healey 3000 and roar your way through the countryside.